Build your community and invite up to three friends** to explore an open-world world filled with hostile zombies. Establish a base, develop your characters and manage resources to survive in a post-apocalyptic world. In the apocalypse, every decision matters and brings with it lasting consequences. How you survive just might surprise you. Available on Xbox One and Windows 10. Xbox One X Enhanced and supports Xbox Play Anywhere. *Add-on packs available as released, see Xbox.com for more info. 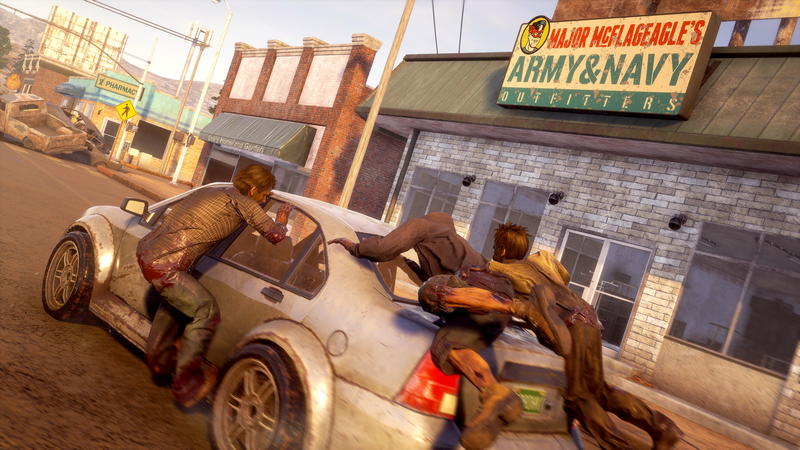 State of Decay: Year One Survival Edition and add-on content downloads require up to 25GB. ISP fees apply. Xbox Live account required. **Xbox Live Gold membership required for online multiplayer on Xbox One (sold separately). Play on one device at a time. PC hardware requirements may vary for games on Windows 10. Enhanced features for Xbox One X subject to release of a content update. Games information at xbox.com/enhanced. Specific enhancements vary by game. Small-town America, one year from today. The dead have risen and civilization has fallen. Not even the military could stop the zombies, and now it's up to you to gather survivors and build a community in a post-apocalyptic world – a world where every decision matters, and where you define what it means to survive. 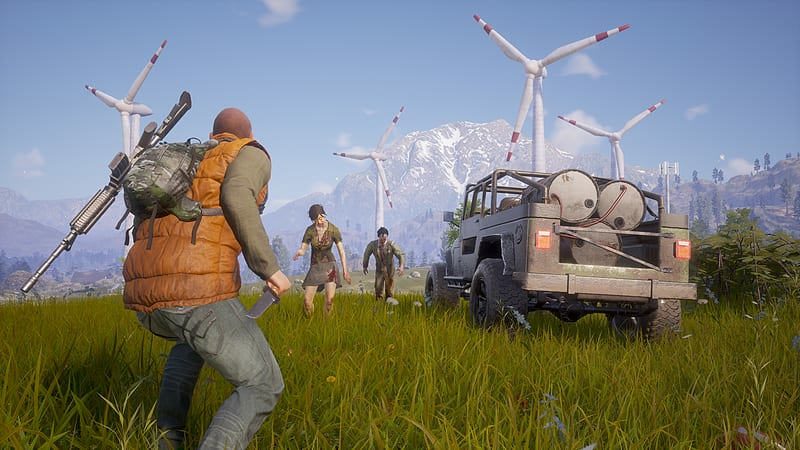 Four Player Co-Op Multiplayer Build your community and invite up to three friends to survive in an open world filled with hostile zombies, human enemies, and the valuable gear necessary to keep your community alive. RPG Progression in an Open World It’s up to you to build your base, develop your characters’ abilities, and manage resources to survive as a group in this post-apocalyptic world. Develop each survivor’s skills to improve their capabilities and strengthen your community. Your Choices Define Your Survival Story In the apocalypse, the line between right and wrong disappears. Every decision has lasting consequences that you must face. In the end, how you decide to survive just might surprise you. In post-apocalyptic small-town America, a group of survivors are on a quest to restore peace and order as the undead rise to feast on any living thing that remains in the derelict world. 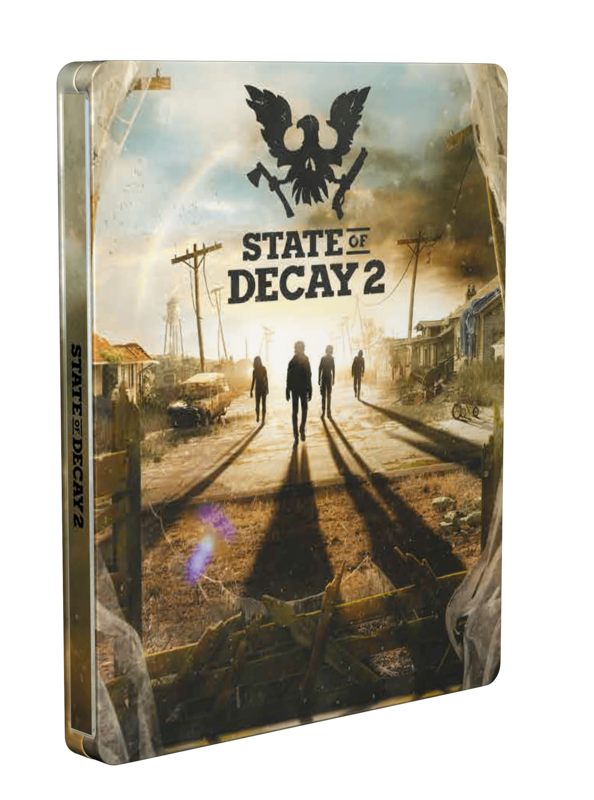 State of Decay 2 is perfect for any Xbox One gamer who loves an action-packed survival themed game with crafting elements in a diverse role-play setting.Set 15 months after the final events of the original State of Decay title, State of Decay 2 follows the apocalypse survivors’ nerve-wracking, high-action attempt at restoring their world. Work together with fellow survivors by gathering equipment whilst building up a network of safe places across the land, all whilst warding off deadly zombies and making hard life-or-death decisions. Ideal for the solo or social RPG gamer, thrive on missions alone or team up online in multiplayer mode to survive. Adopt the personas of several different characters to individually develop their skills and capabilities to strengthen your community and build relationships with newcomers to expand on your survival group. With a new and advanced needs system, each character has their own unique appearance and personality traits, making it your responsibility to manage and satisfy them while on the pursuit for survival. 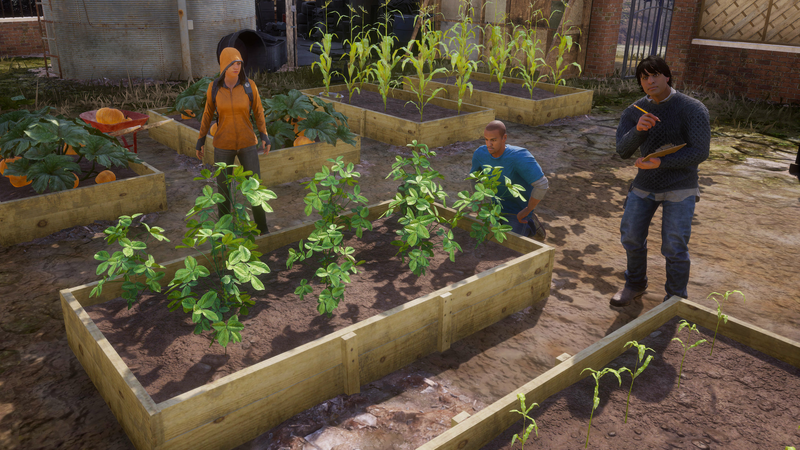 Unlike its predecessor, State of Decay 2 boasts three separate maps, all with open and diverse worlds with unique environments and landmarks. Boasting advanced graphics and gameplay, you will feel truly immersed in the dilapidated but somewhat beautiful landscapes. Perfect for the avid action-adventure gamer, you will never be lost for choice with countless missions, home sites and unique layouts to explore whilst on the run from zombies.Navigate your way through fatal sceneries and fortify your stronghold whilst making decisions that result in long-lasting consequences that you must deal with for the rest of your existence. 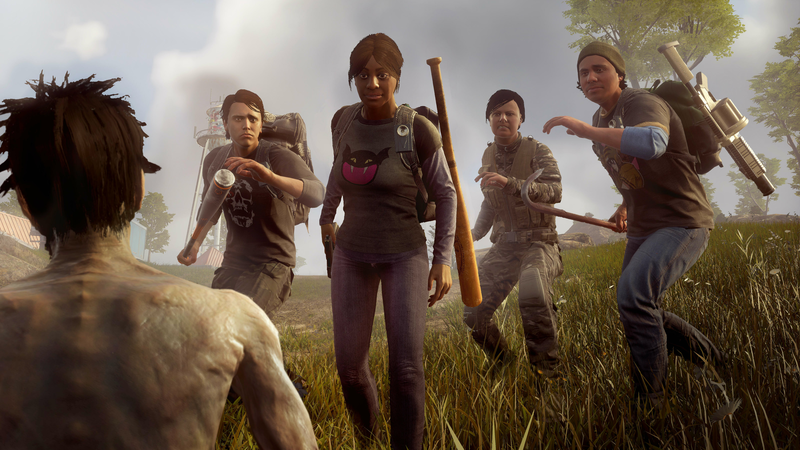 Ward off zombies, develop friendships and find a new meaning of life in an expansive world with State of Decay 2.